WingWorks welcomes your comments and reviews. Our previous site had generated some great vest reviews, but we decided to start over and keep them fresh. If you’d like to see more discussion and reviews, do a search for “WingWorks” on your favorite upland hunting forum. I went through several vests before I got mine for Christmas a few years back. This is the best vest on the market. Period. Bulletproof and well designed to distribute the load of a whole day hunt worth of supplies. There is a place for everything you need. I hunt mostly in MI, WI and MN. This vest has seen miles that have put cuts in leather boots and holes in double tin chaps, but my vest has not had a single wear spot. Two kinds of hunters: those who have one and those who need one. 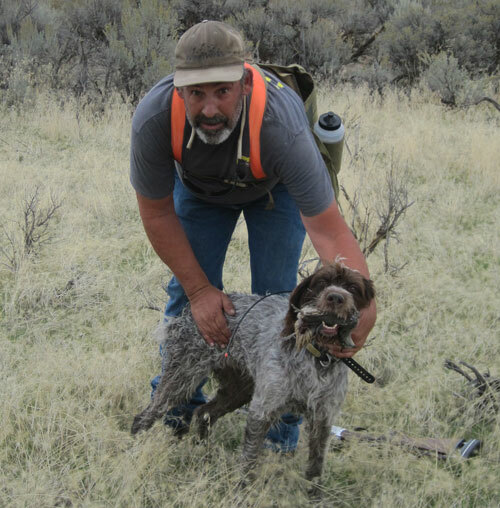 I am new to Southeast Idaho but have spent plenty of time chasing ruffed grouse and woodcock in the thickets of Michigan and bobwhite quail in the pines and fields in Georgia. I found these vests while researching the "best upland gear" in various upland magazines. For two very experienced bird hunters it was listed as one of the absolute best pieces of gear you cannot afford to forget, might as well forget the dog according to my take on the article.I am writing this to highlight the excellent service of this business. I am not proud that I am one of those customers that asked for the impossible under difficult circumstances from the proprietor of this fine business and received better treatment than I could have ever expected. It is really hard to find great folks who provide a great product but even more rare to find those that happily work to satisfy the needs of a spoiled customer to get them taken care of.I wanted to have my vest in time to participate in one of those once in a lifetime pheasant hunts with some folks in Nebraska and I had a fixed schedule. I received top shelf treatment with nothing but kindness and consideration. None of that typical "grousing", grumbling or criticism for my lack of consideration in requesting everyone drop what they are doing to help ME be seen as the best vested bird hunter in camp!My many thanks and I do intend to show off my new WW vest at bird camp for many years to come. I will more likely be telling everyone a lot more about the great service since my career as an outdoor model tanked at about age 8 and they likely won't be admiring that fine figure of a man in the WW vest.I will update this review again when I have some field time under my belt (50 or so birds in the bag) in the prairies and mountains of Idaho but I have to say that the materials used and the quality of the workmanship on these vests is without equal and I expect to wear it until I can't hunt anymore and my offspring will have to fight for custody of this fine piece of work. I tried on Buddy’s vest in first week September, Loved that I was able too reach the water bottles (without a lot of adjusting as with my old vest) and then the pockets where perfect for holding shells. Soon as i got home tried to order no luck as Wing Works likes to go on vacation also. When they got back I called and explained how I much I liked the vest and asked if I could get one before October was able to order on the 26th September and recieved on October 2nd. Going to use it on 7th October,These Guys are the best as is the Vest. I also ordered the pistol holder, great fit for XDM 40. Last vest I'll ever buy. It is literally a vest that will survive generations. There is nothing that will wear out.I hunt all around the country 10 weeks a year. It's hard to list all of the things that this vest does right. I haven't lost a live shell from it yet and I've gone head over apple cart a couple of times with it. It will hold a limit of SD ringnecks without noticing the weight and without having to have a friend stuff them in. It can be customized to hold whatever you want. The biggest problem with the water bottles and holsters is that all the guys you hunt with who don't have a WW vest will be bumming water off of you. With all of these features the vest never gets in the way while you're swinging at a wild Woodcock, or a Grouse that goes over your head making you do a 180.The guys I hunt with are "gear" guys. The year I bought my WW vest I took it to bird camp in the fall expecting to wow all of the guys with something uniquely effective. However, I found that 2 of my buddies had done their research and bought WW vests as well! I now have three seasons on my vest, including local hunting, lengthy road trips and as a wing shooting guide involving long days and lots of weight. There is simply no comparison to a WW vest. 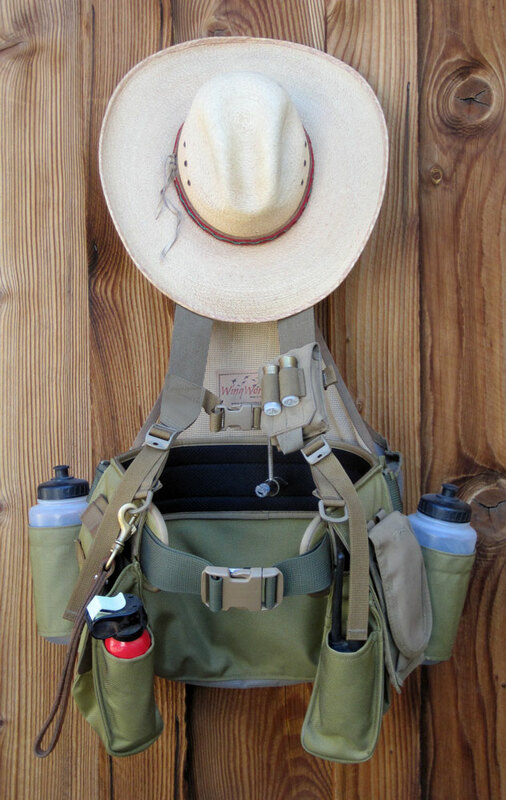 The load bearing compares to my big game pack, the features are well thought out and the durability unmatched. Buy one and you'll wish all your gear was this good. 10 out of 5 stars. I have had and used this vest for several years now. Of the numerous vests I own, this is the only one I use anymore. I am retired and two years ago I spent 2 months hunting, MI, WI, ND., last year I spent three months on the same trip, the vest never let me down for comfort or durability. It is the kind of vest your grandson could inherit and it would still provide good service for his entire hunting career. It is almost impossible to find this type of quality anymore. I'm in to my 3rd Michigan upland season with the Wingworks. I've bird hunted for over 25 years and own 2 Filson bird hunting coats and 2 Filson vests, all of which are "OK" with their own limitations. The Wingworks features, materials and backpack/waist belt engineering make the fit, ride and weight distribution ideal for hunting with EVERYTHING you need + water for the dog. My advice for the upland hunter getting started is to save money in just buying the Wingworks at the beginning. I have owned and heavily used my Wing Works Vest for 10 years. It is the best vest system I have ever used in my 40+ years of upland hunting in Wisconsin, the Dakotas, and Arizona! One of the straps of the harness was chewed through by rodents this summer and the folks at Wing Works have been most helpful in getting me a replacement. I can't say enough good things about these folks, their products, and especially their customer service! If I could give it 6 stars, I would. Had my vest for 4 years and hunted with it in 5 states. Spend too much time in Missouri crashing through multiflora rose, blackberry brambles, and honey locust trees trying to find quail, rabbits, and woodcock, but that is because I live here. This vest is impervious to the briars that have shredded every other vest I have owned. I run three dogs and need lots of water on warmer days, especially during dove season. No problem here, as I can carry a ton of water, comfortably, without overheating myself in the process. Fits well with a T shirt during dove season in Missouri or over layers of clothes during a South Dakota winter pheasant hunt and everything in between. It can carry a huge load of birds and lots of shells. I sewed a Maxpedition utility pouch on the support webbing just above the little zippered pouch. I can add magnum bird loads, keys, earplugs, phone, etc. and still access the stock zippered pouch if needed. I attached a Cordura pistol holster inside the game bag on the right side of the waist strap for quick access to my .40. Still leaves room for all the birds I can carry, yet stays concealed, secure, and accessible. This vest does it all. Guys I hunt with have salivated over it for several years. One has bought a WW vest and loves it as much as I do.